We understand the NDIS, We understand you. Highly accomplished in guiding organisations, including private, government and not-for-profit organisations, through the latest NDIS reforms. We take a client-focused, flexible and individualised approach to deliver tangible solutions for individuals and organisations preparing to do business with the NDIS. A values based organisational culture provides a strong foundation for any organisation. 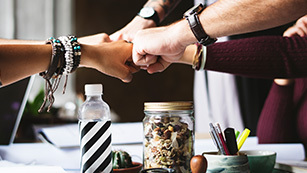 Aligning values with leadership through executive and leadership coaching, values and organisational culture alignment, Practice management support and developing peer networks builds a strong cultural foundation for any organisation large, medium or small. To provide individualised client service, be ready to demonstrate individual participant outcomes and report effectively to the NDIA, requires planning and design. 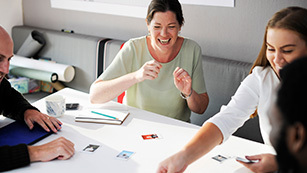 DIViN works with organisations on all aspects of design including strategic planning, business models design and innovative service tools, resources and processes. 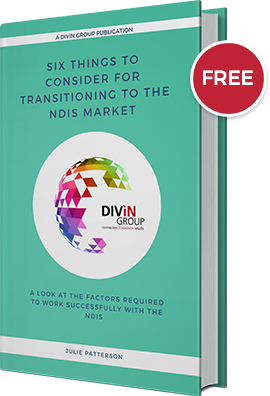 Ensuring your leadership team understands the organisations direction, are aligned with the transition to the NDIS marketplace and are ready and willing to take on the challenge of the new business model is essential to your success. DIViN will prepare leadership teams to work together, to communicate effectively to all staff and to realise their full potential. Bringing problem projects under control is our speciality. Providing simple straightforward methods to effectively track progress so everyone’s on the same page and moving forward. Providing project management health checks and support, we strengthen organisational project management capabilities. Building a flexible, skilled workforce who can establish strong individual and team relationships are vital. Our NDIS experienced facilitators provide learning and development support with the analysis design and development of learning and development solutions. We can tailor any solution to your training needs with self-paced, face to face, or eLearning modules available. Boasting a combined experience of over 50 years. 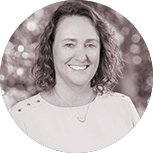 Julie’s expertise is in organisational development, cultural change, facilitation, people development and relationship management. 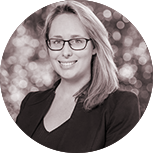 Mary has vast experience in project management, organisational development, strategic planning and developing high functioning teams. 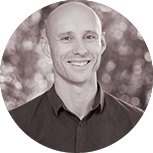 Phil’s strength is in identifying innovative, person centred solutions to complex human service system challenges. Jacynta is passionate about being able to communicate complex information in a straightforward way. 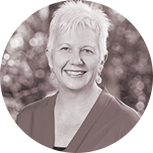 Josephine’s expertise is in instructional design (end-to-end), communications and change management. 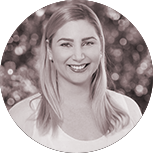 Naomi has worked at a senior level in the human service sector both in the UK and Australia. Download these guides to find out. A Look At The Factors Required To Work Successfully In The NDIS. 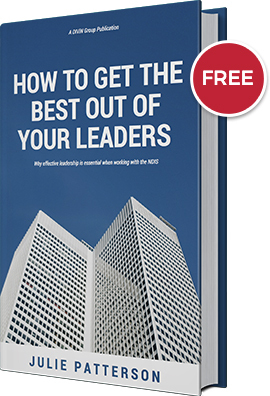 Why Effective Leadership Is Essential When Working With The NDIS. 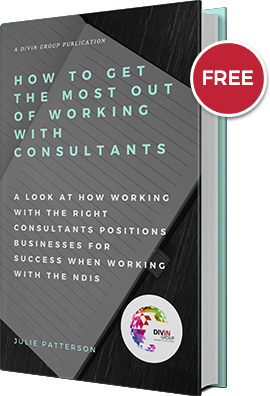 A Look At How Working With The Right Consultants Positions Businesses For Success When Working With The NDIS. DIViN offers services that are tailor-made to fit within your organisation and within your budget – we offer a range of options that are tailored for an individualised approach. We will speak with you to understand your requirements and provide you with a quote based on the agreed services and outcomes to be achieved. DIViN offers a range of services that are able to be tailored to your organisational needs – we are flexible in our approach and design tailored solutions to provide services as and when required e.g. for part or across the breadth of a project, design training around a specific need, facilitate a workshop to resolve identified issues. Do you have a standard training solution? 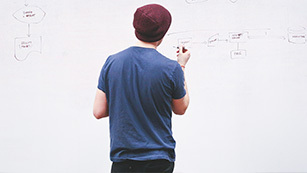 No, we don’t have a one size fits all approach to how we provide our services. 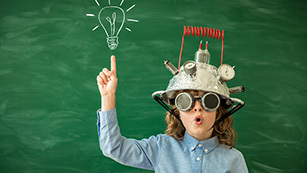 Our speciality is working with you to design and develop training solutions that will support your organisation and are tailored to your individualised needs. “The team had never developed an operational plan and it was important for them to shape their own agenda. 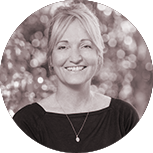 Julie has worked with other parts of the organisation in the past and was known to some team members. Julie was able to help our team articulate their goals and unpack current work activities. She understood our organisation and what the team needed to prioritise. I highly recommend Julie and enjoy working with her to get results – The management team have also requested Julie for their next planning session. Her approach is a great fit for us. Our experienced team of professionals has been working with the NDIA since 2014 and has over 50 years’ combined experience.